Newsflash: Everyday Shakespeare Officially Endorses Siobhan Magnus! 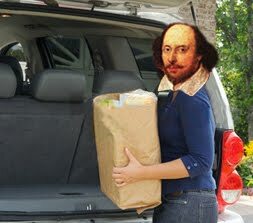 One of our readers tells us that his former classmate Siobhan "is an experienced Shakespearean, having played Feste, Mrs. Page and Hero as well as assorted fairies in Midsummer Night's Dream during her storied high school dramatic career at Barnstable High School." She's got our votes, dawg!